Carlson Concierge of Scottsdale, AZ, earns fourth-year accreditation from the NHWA! Carlson Concierge of Scottsdale, Arizona, has earned Accredited Member status from the NHWA for the fourth year. I recently had the opportunity to attend the quarterly meeting of the Arizona Chapter of the NHWA in Scottsdale. The meeting was hosted by Maureen and Lee Carlson at their home. It was wonderful to spend time with them and to share Home Watch stories, as they had recently celebrated Carlson Concierge’s ninth anniversary. 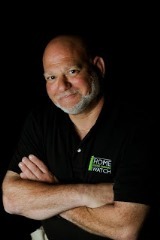 I am always impressed with the Carlsons’ level of professionalism and knowledge about the Home Watch industry. I look forward to seeing them again in the near future at our 2019 Conference in Fort Myers, Florida. Lee and Maureen founded Carlson Concierge back in 2009, when they moved with their then school-aged children to Scottsdale. They’ve continued to build a successful business by forming solid relationships and earning the trust of their clients. Their business has three distinct areas: Home Watch, vacation rental assistance, and luxury home services. 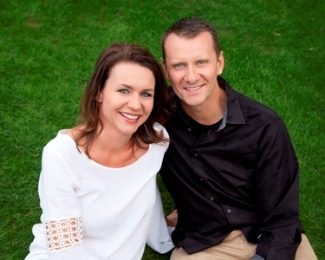 Both Lee and Maureen have Bachelor’s degrees in business and possess unique skill sets and professional demeanors that contribute to the success of Carlson Concierge. “Leave your home to our care when you can’t be there” are not mere words to Carlson Concierge. Lee and Maureen live this mantra and work diligently to give their clients confidence in the quality of their services; they form meaningful and lasting relationships. The result is peace of mind for each of their clients. Carlson Concierge serves Desert Mountain South through Paradise Valley, Biltmore, Arcadia, and Fountain Hills. You can reach them at (480) 318-6829 or at info@CarlsonConciergeServices.com. Learn more at www.CarlsonConciergeServices.com.